This beautifully illustrated book is essential for the game cook. Presenting a wide range of mouth-watering rabbit recipes, some very simple, some more complicated, some traditional, some British and others from overseas. The authors have visited rural outposts where imaginative cooks and chefs have made the best possible use of this source of food. It is a lovely book, its cover, shape, print and numerous stunning photographs make it a cookbook of great quality, and the recipes match up to the appearance. It will be a real boon for all of us who eat game and fish." 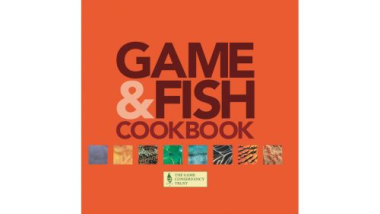 "Terrific recipes for game lovers and the wildlife photography makes it a treat." "Absolutely packed with just about every game recipe imaginable...Fresh and exciting tastes and ideas...alongside traditional flavours." "This new edition.. is set to become the benchmark cookery book for this century.."
"The book contains good, sound advice on all aspects of eating game and fish.. this is a superb book."